JM Bullion is becoming a preferred vendor for Silver and other precious metals for many investors due to their low prices and free shipping. Currently there is a delay in orders caused by a relocation of their distribution center. While that’s bad news for the metal you are waiting for, they are trying to make it up to affected customers. A JM Bullion coupon code is being offered to customers like ourselves who have a pending order and there is also – in an email we just received – a promise of a future promotion designed to make up for the inconvenience caused. Something tells me we may never see $19 per ounce Silver ever again; and a part of me hopes we don’t. 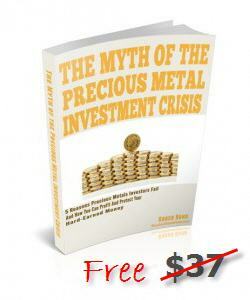 Yet for those wanting to buy more Silver at the lowest prices that means we pay more. So the thing to do is buy Silver at the lowest prices and not get socked for expensive shipping charges. After all, Silver is heavy in quantity. That’s what makes JM Bullion attractive in that all orders (other than special situations) ship for free. Now, Northwest Territorial Mint ships free to the continental 48 also, but their prices are higher and the delay from order to shipment typically longer. What Types Of Silver Should You Buy? We never give investment advice here at BuyAndStoreGold, but we can tell you what we do and recommend to relatives and friends who will listen to us (Okay, that’s a small group!). We like to get as much Silver for our money as possible; and that’s tough when so many Silver products are designed to be so darn good looking – one wants to buy them all! But recently we have been finding ourselves picking up 10 ounce Silver Bars simply because the cost per ounce has been favorable due to some specials run at both JM Bullion and other vendors like APMEX. I have to tell you, though, JM Bullion has them all beat on price. When it comes to 10 ounce bars no one we have found has as much selection as JM Bullion and the prices do vary. You will pay more for a Sunshine Mint Silver Bar than you will a NTR Silver Bar. At the same time, though, it’s nice for US Citizens to have a nice store of Silver American Eagles simply because those are what are always in the highest demand even though, in our humble opinion, they are not the MOST attractive Silver coin, and there are ways of buying Silver at even higher purity too. So the bottom line to us is to get the Silver in reputable, recognizable form while it’s still available at low prices. 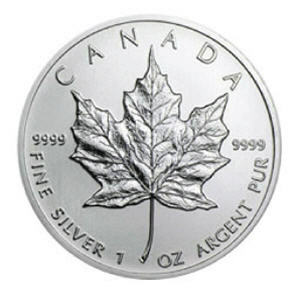 No sense lamenting that you didn’t buy enough at $18.90 per ounce because 15 years ago you could have bought all you could afford at less than $4 per ounce and have an easy 4 bagger at these prices that are over 50% off of Silver’s high 3 years ago. So my advice – and it’s free so take it for what it’s worth – is to try a small order with JM Bullion and see how they treat you. If you are happy, order again! If not, let them know you aren’t happy. If they make it right, great, if not, then tell everyone you know. Either way, would you please stop back here a let US know how you came out?